Asus has launched its latest device the PadFone Mini which is a smartphone which can be converted into a tablet device and it is known as a hybrid device. The hybrid device means that it is a two in one device which can be sued as a smartphone and also as a Tablet when required making it easier to save money from buying two devices. The device has some great features as well, it is powered by a Intel Atom Z2560 processor that runs at 1.6GHz having 1GB of LPDDR2 RAM and comes with a 4-inch (800×480 pixels) primary display and 7-inch (1280×800 pixels) displays which use IPS+ (in-plane switching) technology to act as a hybrid device and Asus Dynamic Display technology automatically resizes apps for the different display sizes. It comes with 8GB of internal memory and can be expanded to 64GB using microSD card slot. 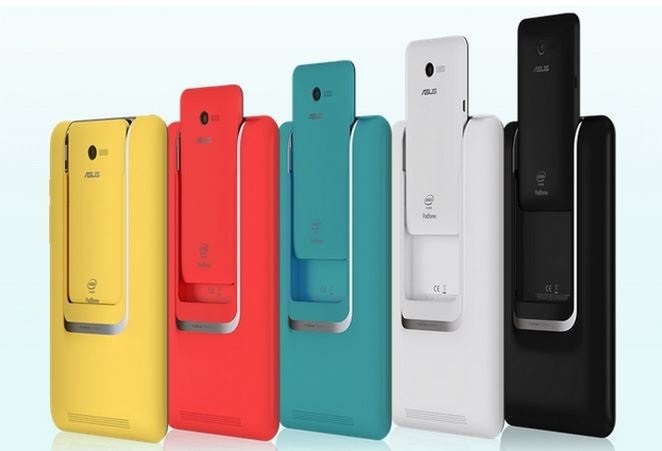 The device is currently coming with Android 4.3 Jellybean with ZenUI skin over it and Asus has told that Android 4.4 will be coming to the device soon. The device has a 8-megapixel ‘PixelMaster’ rear f/2.0 BSI camera and a 2-megapixel front-facing camera. It has a combined weight of 376g with the 7 inch dispaly. Dimensions of the phone are 124.42×61.44×11.2mm, while the tablet measures 199.85×119.43×13.91mm. PadFone Mini is powered with a total battery capacity of 3270mAh (phone has a 1,170mAh non-removable battery while the tablet dock packs an additional 2,100mAh non-removable polymer battery). The tablet even charges the PadFone Mini smartphone when docked. Its PixelMaster’s Low-Light Mode is claimed to measure the available light and adjust the pixel size to increase light sensitivity by up to 400 per cent. It can also capture 1080p videos, says Asus.